Dr. Brucki is a graduate of Loyola dental school. He completed a one year post graduate residency in oral surgery at Loyola. Dr. Brucki also focuses his practice on the needs of teenage and adult patients. 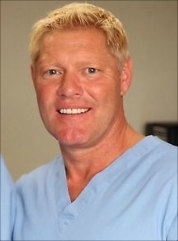 He is well versed in the placement and restoration of dental implants and has completed numerous complete dental rehabilitations in challenging cases that go beyond the average “cosmetic” crown.